Stopping for Hai Peng in Kemaman is something rif and I do on a yearly basis. We always make it a point to stop for the coffee here, on our way back from Perhentian Island. Over the years, the prices have increased but the food and drinks quality taste relatively the same. Even service remains the same — slow and uninterested. Since we were suppose to have dinner in Kuantan, we decided to just have a drink and some snacks. Otherwise, I would have gone for the full monty — kaya bun, soft boiled egg, ice blended, fries and if any left, nasi dagang. I did however, order some fries (RM7.90) and toast bread with special curry (RM6.90) to share with the gang. The ice blended coffee breeze (RM6.90) tasted just as good as we remembered it to be. Thick and smooth with a creamy aftertaste from the ice cream. 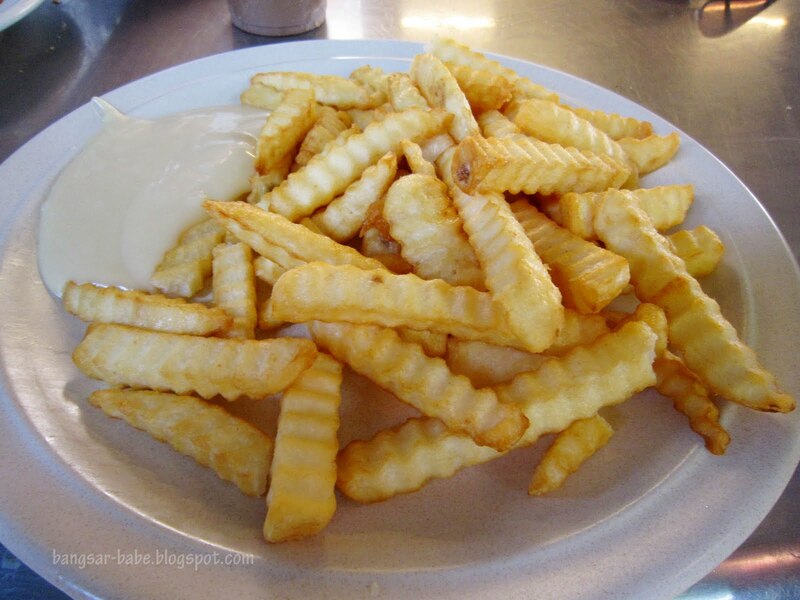 While the fries were ordinary, I enjoyed the mustard-mayo dip it came with. The mustard gave the mayonnaise a kick, and made it less cloying. Very moreish. The potato curry which came with the toast was quite spicy, so if you’re not big on spicy dishes, you might want to go easy on this. 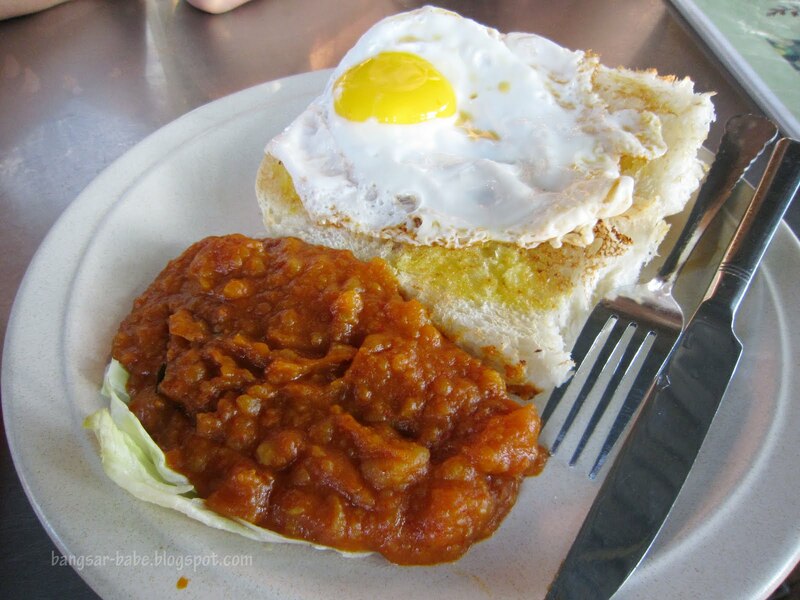 I found the spiciness just right, and the gooey egg yolk gave the bread a creamy-rich texture and flavour. However, I would choose nasi lemak or nasi dagang over this. A pity they were not available when we got to the shop at 5.30pm. We didn’t hang around for too long, as Hai Peng swept us out, literally. Even though we were still halfway through our food and coffee, the staff started sweeping the floor near our table, causing dust and dirt to fly around. I think when we come back next year, I’ll be getting my coffee and toasted buns to go. That way, I can enjoy my snacks minus the lousy service! *Read my write-up on Hai Peng in StarMetro August 2009 and on my blog! 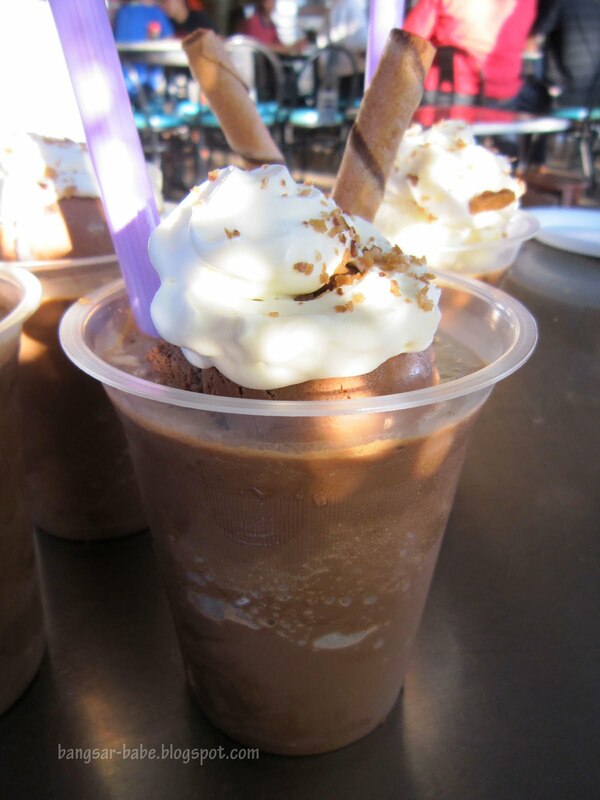 Verdict: The ice blended coffee is good, and so is the hot Kemaman coffee. But service is a nightmare. I agree with sean man. Usually, bad food puts me off faster than bad service. Nice one! I never heard of Hai Peng until recently when I was in Lot 10 Hutong and saw them selling this coffee! Pity about the lacklustre service though. Anyway, good finds usually don't come with pleasant service. I love the nasi lemak there. Got 2 branches. 1st at Starhill and Dataran Jelatek, Setiawangsa. Reckon the place is over rated. Horrible service, nothing to shout about food, price exorbitant.Not sure why will anyone pay RM 3 for a tiny packet of so-so nasi dagang or nasi lemak!